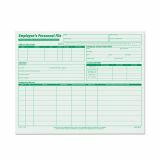 TOPS Employee Record File Folders, Straight Cut, Letter, 2-Sided, Green Ink, 20/Pack - Employee Record File Folder includes all you need to build a complete employee record. 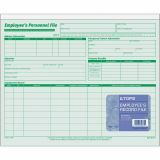 Carefully researched record folder will help maintain thorough information on every employee, in a legal manner, in one place. 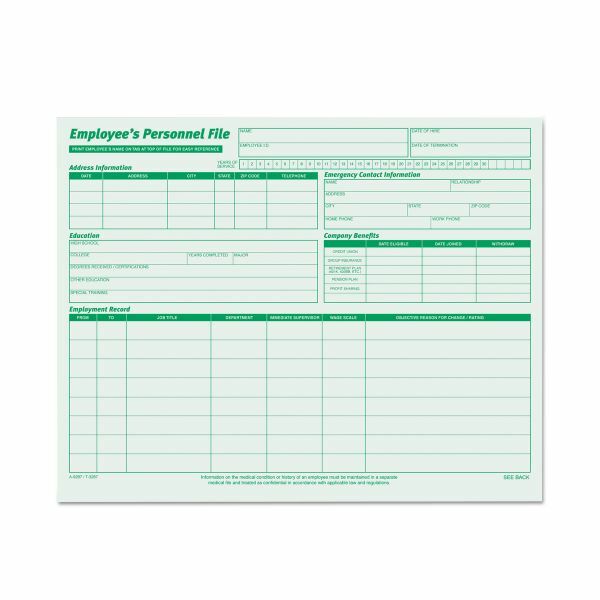 File folder is particularly useful for a post-hiring inquiry of a new employee. 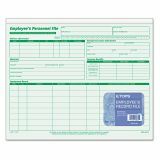 Employee Record File Folder is designed to fold so confidential information is inside the folder. Design features green ink printed on green stock. File folder is made be inverted for confidentiality.